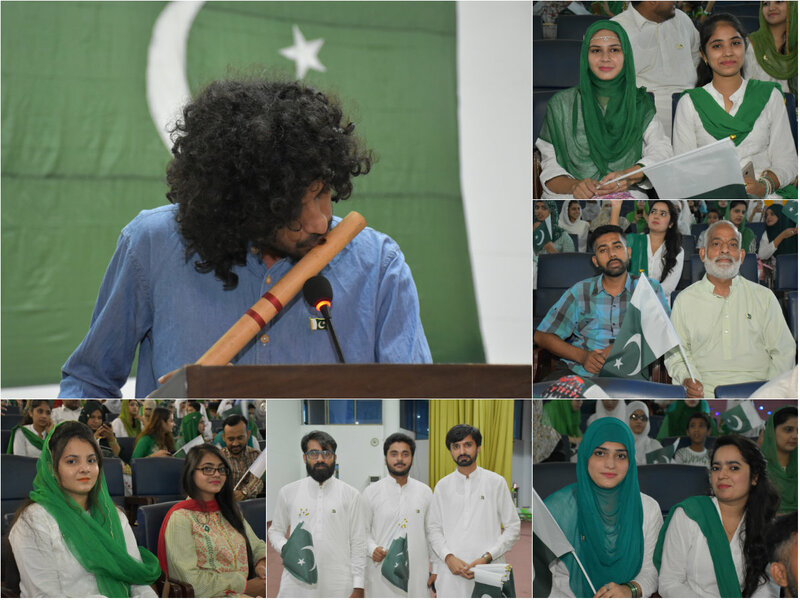 University of Engineering and Technology (UET) Lahore and Kala Shah Kaku (KSK) campus celebrated 71st Independence Day with zeal and zest. UET Lahore main campus was fully decorated with illuminations, national flags, portraits of national leaders, banners and buntings to give a festive look. 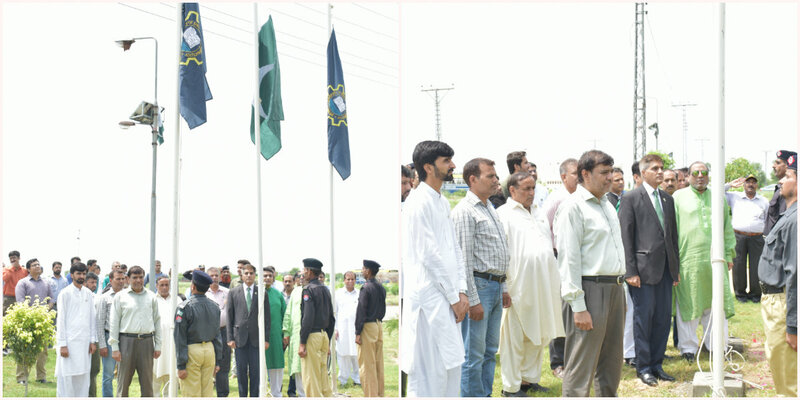 For this purpose a Flag hoisting ceremony was held at UET main auditorium hall. Vice Chancellor UET Lahore Prof. Dr. Fazal Ahmad Khalid was the Chief Guest. 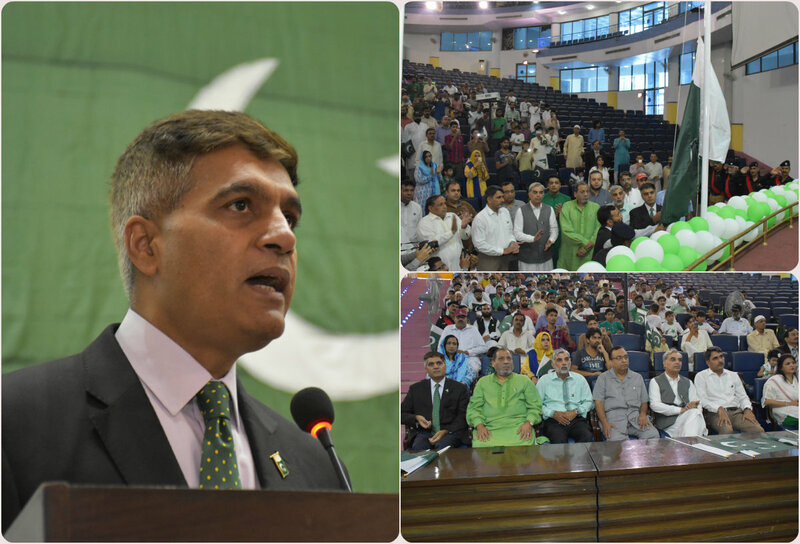 The ceremony was connected with programme held in Islamabad Convention Centre and Prof. Dr. Fazal Ahmad Khalid hoisted the national flag followed by National Anthem. While addressing to the participants Vice Chancellor UET Prof. Dr. Fazal Ahmad Khalid expressed his views, “Pakistan is our motherland and we should own it by performing our duties with sense of responsibility. It is matter of pride that in Muslim Ummah we are the only atomic power and have rich and diverse culture, climate and talent. It must be properly used for the progress and prosperity of Pakistan”. He also said that, “Youth must come forward to play their due role. This land requires dedicated, commitment and enthusiasm in the regard our youth has great potential to deliver at their level best.” Deans, Chairmen, Faculty members with other staff and students were present at the ceremony.